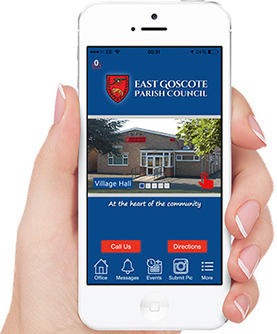 Our Council App was launched in November 2015. It’s a great way to stay in touch and access news and information about the parish council and your village while on the move. If you turn on location and notification settings we can keep you in touch with what’s going on and you can adjust your settings to suit your needs. It is a great way to add events to your mobile device’s calendar, get directions to events, receive instant push notifications and more. How to use the web app; simply add it to your mobile home screen.